With over one million customers, Plus500 is one of the largest and most famous forex and CFD brokers. Users can create a trading account in just a few minutes and trade with the broker’s proven trading platform with more than 1,000 different underlying assets. This includes both currencies and CFDs. New customers will benefit from a generous cash bonus and no deposit is required, only the confirmation of the bonus conditions. Plus500 is characterized by its clearly structured trading platform, low minimum deposit, reliable support and many trading options. Margin starts at 2 percent. When dealing with CFD products, there is an increased risk of losing the capital invested. Plus500 is a registered trademark of Plus500 Ltd. It was established in 2008. The company is headquartered in the English capital, London, and is regulated by the competent financial authority, the Financial Conduct Authority (FCA / FRN 509909). Other offices of Plus500 are located in the Australian capital Sydney (Plus500 AU LTD regulated by the ASIC / AFSL # 417727) and in the Cypriot capital Limassol (Plus500 CY LTD regulated by the CySec license number 250/14). For this reason, the broker is also regulated by the Cyprus Securities and Exchange Commission (CySec) and the Australian Securities and Investment Commission. Plus500 Ltd has been a member of AIM since July 2013, A part of the London BrÃ¶se. The broker allows its customers to trade without commissions with numerous underlying assets. Like most other brokers, Plus500 also relies on the proven trading model market maker. Thanks to strict regulation and existing deposit insurance, customers need not worry about security. Plus500 is not only one of the oldest, but also the most popular broker. One of the most prominent partners of the broker is the world-famous Spanish football team Atletico Madrid. Traders who choose CFD Broker Plus500 will benefit from a huge selection of different underlying assets. The trade offers include more than 50 different currency pairs. These include both majors and exotics. The Broker Plus500 is a pure CFD broker, which is the only one of its kind. Traders have the choice between more than 18 commodities, 80 different funds, 20 indices and over 1900 shares. The trading offer is therefore very versatile and is suitable not only for Forex traders. In general, Plus500 users can trade in a variety of currencies, including Euro, US Dollar, and British Pound. 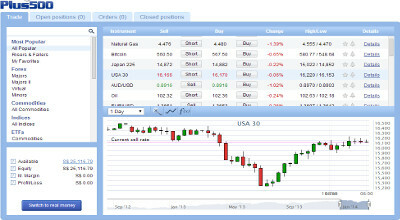 Plus500 provides its customers with a wide range of trade types. Traders can use market orders, stop loss, profit limit, trailing stop and entry limit. This allows retailers to adapt perfectly to the individual needs of the traders and these can, for example, reduce their risk of loss. Plus500 does not charge additional fees for trading. The costs for traders are therefore limited to the spreads (from 2 pips). Only for the trading of CFDs and shares Plus 500, as usual in the industry, levies low fees. Due to the overnight accommodation, additional costs may arise. The maximum trading leverage is 1: 294, which is slightly lower than with other brokers. The minimum transaction size is for a micro-solder. The margin starts at 2 percent. Plus500 offers traders a wide selection of underlying assets. In addition, all important trading options are available to customers. For high-risk traders, the leverage ratio could, of course, be higher. As a trading platform, Plus500 uses a professional and clearly structured trading program. Customers can either install the platform via their software or use the web-based version. Through the web trader, customers can conveniently trade through their browser. Both versions have the same functions and performance. The trading platform was developed by Plus500 and therefore regular updates and improvements take place. The software is available in all major languages. Within the trading platform, traders have access to all types of trading and options. For each trading instrument, traders can access all important options, such as the purchase and sale fees, the minimum trading volume, the initial margin, the trading time and the leverage ratio. Both the purchase and the sale always show the necessary collateral. In addition, traders can determine the profit or loss at which their position is going to be closed. Particularly useful: the traders can switch between the real money mode and the demo mode at any time. In the latter mode, the platform and the trading offer of Plus500 can be tested without any financial risk and without time limitations. The demo account is, therefore, an advantage for beginners. In addition to the software and in-browser solution, Plus500 offers mobile trading apps to its users. The free app can be installed on Android and iOS devices (smartphones and tablet PCs). Through these, the traders can access all the functions of the trading platform while on the road. New customers can open a trading account at Plus500 within a few minutes and without any costs. Traders have the choice between a real money and the demo mode. With demo account they can peacefully test the Plus500 without any restrictions. In order to participate in the real money trading, a minimum deposit of 100 euros is necessary. After the customer has entered the personal data, they must have their telephone number checked. If the validation is successful, the new user receives 25 Euro as a welcome gift from Plus500. For payments to the merchant account, all current payment methods, such as credit cards, bank transfers, instant transfer, Giropay, Skrill are available. If the trader wants to withdraw money, he has the choice of credit card, bank transfer, or Skrill. Payouts and withdrawals are made very quickly. As a rule, the transactions only take a few business days. If the customers use Skrill, for example, the money is instantly credited to their trading account. In addition to the particularly generous welcome bonus, which is completely independent of a deposit, the traders at Plus500 will benefit from further bonuses (the terms and conditions of the trader apply). On their 1st deposit, the traders will receive a maximum bonus of 30 percent. In the case of 100â‚¬ deposit, the trader receives 130 euros on his/hers trade account. The maximum possible bonus of 7,000 euros can be achieved with an initial payment of more than 50,000 euros. If the traders wish to pay out the welcome bonuses or bonuses, they must purchase a certain number of dealer points (T-points). Customers can only contact Plus500 support via e-mail. The support staff is very convincing with very fast processing times. Most queries will be answered within half an hour. The correspondence can be done in English or alternatively in German. Apart from the excellent e-mail support, one could answer some questions also uncomplicated via live chat. Particularly noticeable was the very fast processing time of our e-mails. Compared to many other brokers, Plus500 dispenses with an extensive training offer. There is also no real platform for traders to provide information. The only way for inexperienced traders is the demo account. 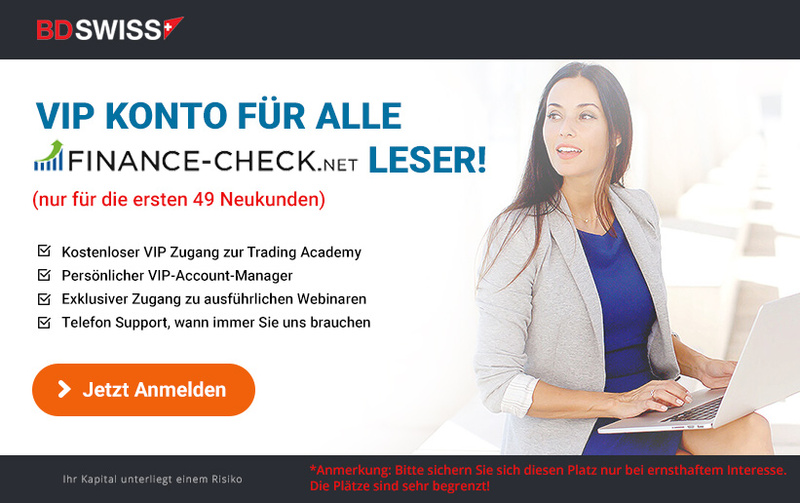 Plus500 is not for no reason one of the most popular brokers and thanks to the strict regulation, its headquarters in London (Plus500 UK Ltd) absolute integrity is guaranteed. The British broker offers traders a wide selection of different underlying assets and is suitable for both inexperienced traders and professionals. The trading platform shines with a simple and clear interface and runs smoothly. Thanks to mobile apps, the trade is even possible from the road. Traders have access to all important features and pay only the usual market fees. Users receive a generous bonus on deposits and benefit from a large number of payment methods. Both incoming and outgoing payments are made within a very short time. The low minimum payment, the completely free and time-unlimited demo account and the generous welcome gift for each new customer are the main advantages of Plus500. The few disadvantages are the limited support and the non-existent possibilities of further training. Overall this is a very positive test. The Forex and CFD broker is definitely recommendable and a good choice for any trader.